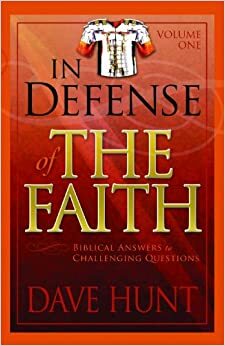 Seek To Know The Truth: In Defense of the Faith - What About the Manuscripts? In Defense of the Faith - What About the Manuscripts? Question: It is my understanding that the Bible we have comes from a handful of ancient manuscripts that are copies of copies of copies of the originals that have long been lost. These originals, especially for the Old Testament, could have been several thousand years older than the oldest manuscripts. How do we know that what we have today is even close to the originals? Response: Response: Bernard Ramm reminds us: “Jews preserved it [the Old Testament text] as no other manuscript has ever been preserved . . . they kept tabs on every letter. They had special classes of men within their culture whose sole duty was to preserve and transmit these documents with practically perfect fidelity—scribes, lawyers, Massoretes. Who ever counted the letters and syllables and words of Plato or Aristotle, Cicero or Seneca [as the Jews did for the Old Testament]?” No wonder, then, that the Isaiah scroll found among the Dead Sea Scrolls showed no significant variation in 1,000 years of copying. In contrast, as already noted, there are many questions concerning the text of Shakespeare, which is only about 400 years old. In contrast, there are about 24,600 copies of New Testament manuscripts, some of which date back within a century of the originals and many others within about 300 to 400 years. Then why does one continually hear the false claim that the biblical manuscripts are not reliable? The fact that this lie persists in academic circles demonstrates the extreme prejudice against the Bible because of what it says. God’s Word convicts the conscience. How interesting that questions about the accuracy of the manuscripts are never raised for other ancient writings—unless they offer proof of the Bible’s validity. The Antiquities of the Jews, by Josephus, offers considerable verification of the New Testament and the life and death of Jesus, so it, too, comes under vicious attack. The Bible is the most quoted book in the world, thousands of times more so than any secular work. That is not only true today but has always been the case. Consequently, one can reproduce the entire New Testament and much of the Old Testament by quotations contained in personal letters and epistles written within a century after Christ commissioned His disciples to preach the gospel. “For forty-five years continuously . . . I have devoted myself to the one great study of the Old Testament, in all its languages, in all its archaeology, in all its translations. ‘[T]he critics of the Bible who go to it in order to find fault . . . claim to themselves all knowledge and all virtue and all love of truth. One of their favorite phrases is, “All scholars agree.” When a man [says that] . . . I wish to know who the scholars are and why they agree. Where do they get their evidence. . . ? I defy any man to make an attack upon the Old Testament on the ground of evidence that I cannot investigate. . .
‘After I learned the necessary languages I set about the investigation of every consonant in the Hebrew Old Testament. There are about a million and a quarter of these; and it took me many years to achieve my task. I had to observe the variations of the text . . . in the manuscripts, or in the notes of the Massoretes . . . or in the various versions, or in the parallel passages, or in the conjectural emendations of critics; and then I had to classify the results . . . to reduce the Old Testament criticism to an absolutely objective science; something which is based on evidence, and not on opinion. . . .
‘The result of those 45 years’ study which I have given to the text has been this: I can affirm that there is not a page of the Old Testament concerning which we need have any doubt. . . .
‘[For example, to illustrate its accuracy]: There are 29 ancient kings whose names are mentioned not only in the Bible but also on monuments of their own time. . . . There are 195 consonants in these 29 proper names. Yet we find that in the documents of the Hebrew Old Testament there are only two or three out of the entire 195 about which there can be any question of their being written in exactly the same way as they were inscribed on their own monuments [which archaeologists have to date discovered]. Some of these go back 4,000 years and are so written that every letter is clear and correct. . . .
‘Compare this accuracy with . . . the greatest scholar of his age, the librarian at Alexandria in 200 BC. He compiled a catalogue of the kings of Egypt, 38 in all. Of the entire number only 3 or 4 are recognizable. He also made a list of the kings of Assyria; in only one case can we tell who is meant; and that one is not spelt correctly. Or take Ptolemy, who drew up a register of 18 kings of Babylon. Not one of them is properly spelt; you could not make them out at all if you did not know from other sources to what he is referring. ‘If anyone talks about the Bible, ask him about the kings mentioned in it. There are 29 kings referred to, and ten different countries among these 29; all of which are included in the Bible and on monuments. Every one of these is given his right name in the Bible, his right country, and placed in correct chronological order. Think what that means. . . ! ‘While the study of the religious systems of the ancient peoples has shown that there was amongst them a groping after God, nowhere is it to be seen that they reached any clear apprehension of the One True God, the Creator, Preserver, Judge, Saviour and Sanctifier of His people. Their religions were of an outward kind; the Old Testament religion is essentially one of the mind and heart; a religion of love, joy, faith, hope, and salvation through the grace of God. How can we account for this? ‹ Question: What is your take on the “Blood Moons” teachings we’re hearing from John Hagee, Mark Biltz, and others? Is there any validity in what they’re saying?